With all the importance put into creating a great vinyl deck, it’s common for people to overlook how vital it is to have good access to the deck with exterior stairs. Stairs that are poorly constructed, restrict access, or are poorly placed make enjoying your deck more difficult, which is why it’s key to find a great contractor who can help you create great exterior stairs for your vinyl deck. 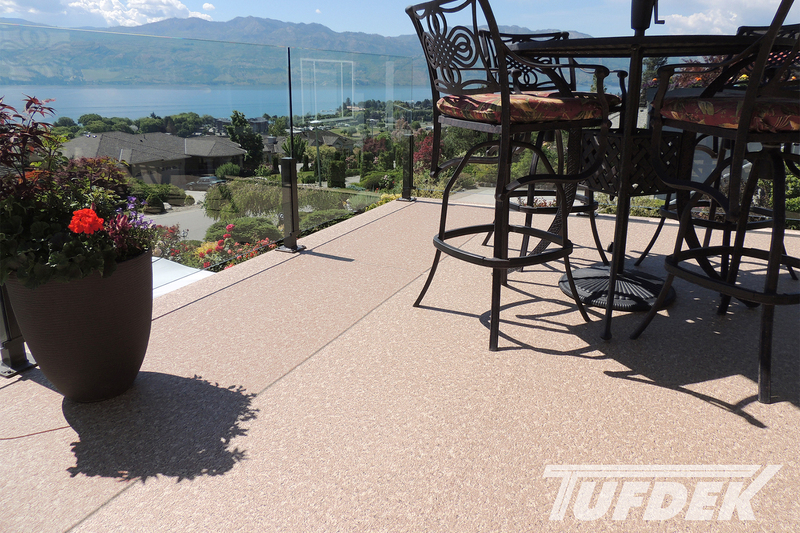 Tuff Industries lays out why improving your exteriors stairs can make your deck all the more enjoyable. Rickety stairs, loose railings, and slippery surfaces all add up to a dangerous situation – one that can lead to disaster. Having a contractor evaluate your stairs can find and fix problems before they become major issues. It might just mean tightening some bolts, or installing a new vinyl membrane with a non-slip surface to ensure that everyone can travel safely up and down the stairs. Stairs might serve a purpose, but that doesn’t mean they can’t look good too. 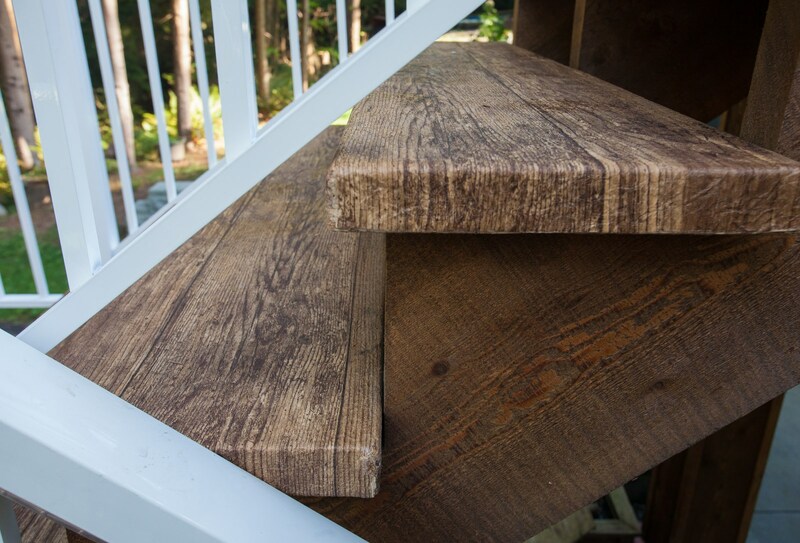 A simple renovation can revitalize the stairs on your deck, lengthen their lifespan, and even help to sell your home more quickly should you wish to move on. Sometimes, when a home is first constructed, not much though is put into deck access. 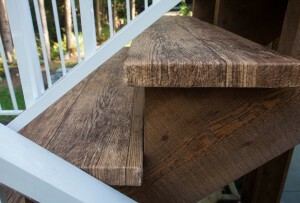 The result can be stairs that are hard to access or are on the wrong side of the deck. Stairs might block access to the area underneath the deck, or might cut off part of the yard. Changing the staircase could open up access to make your deck, and the rest of the yards pace, more accessible. Your staircase might be just fine, but might be lacking the “wow” factor – in which case you can consider updating the look of the deck with vinyl deck railings that compliment your home. Installing glass panels can enhance the view, while new vinyl deck railings can give your deck a brand new feel. A staircase on your vinyl deck can offer the added benefit of giving you the opportunity to expand your vinyl deck space by adding a second level, or moving the staircase to extend your vinyl deck across the back of your home, or wrapped around the side. 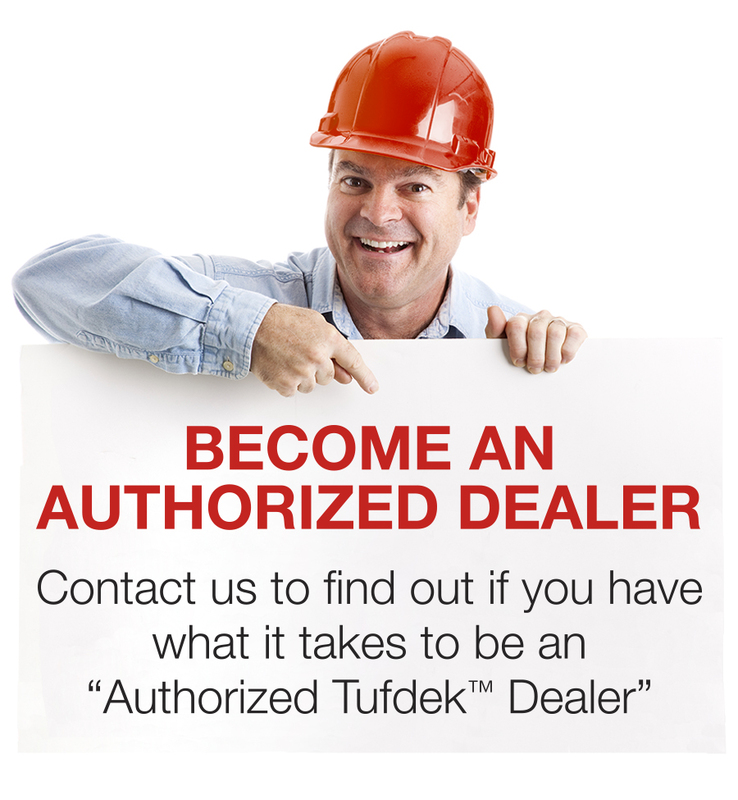 If your staircase has been a bother, or if you want to get more usability out of your vinyl deck, it might be time to talk to a qualified Tufdek™ vinyl deck contractor.